Get to know the myths before starting to make money blogging. Friends, Do you heard a word “Blogging” that is frequently used everywhere on the internet by many people. Today it became a thirst for everyone to start to make money blogging. Blogging becomes easier today with the invention of technologies such as CMS (Content Management System). Even a newbie can start a blog with easy to use interface support from this CMS such as WordPress, Bloggers blog etc. You can blog for fashion, passion, teaching, expressing ideas and thoughts, sharing things, and so and so., but the core thing is to make money Blogging. With just creating a blog and posting some articles won’t make money unless or otherwise your blog is properly monetized to convert your visitors into customers or buyers. In this article, I am going to describe each and every step in a sequence which involves starting a blog to making money from your blog. You may get some more information while reading 11 successful tips for blogging – A Beginners blogging guide and this article reveals the thing to make money from blogging. So, you planned to start a blog. Before everything, you must choose a topic (niche) to blog for. You are in the position to tell people about what is your blog is about? What are you going to offer your visitors? For an example, you may see my blog is about “Earn Money Online without Investment”, where I share all my experience in online money making the field. I usually do research and learn about the industry updates to write an article on my blog with the latest news and information on various online jobs information. Like this, you need to find your blogging niche based on your own interest and passion. Because you should update your blog frequently which is a continuous process to make money blogging. The topic itself says that you have to conduct certain research such as Competition, trend, opportunities likewise the same for the keyword you have chosen for your blogging. Because let’s say if you choose “Make Money Online“ from blogging, I am sure that you have to put five times of your effort to get your blog to stand among the others in Google search results. 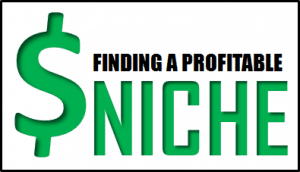 The Make money online niche already saturated and most of the blogs were giving enough details about the topic. People use to visit new blogs if that blog is having something different and new information. So, you have to work very hard to make your blog to stand out from the rest. Make money online is a wide range niche and a variety of online jobs are available. In the beginning, start your blog explaining about one particular money making method and then start growing your blog to cover furthermore related sub-topics on your niche. List any of top 5 Keywords for the niche you had decided for blogging. Write 5 – 10 articles by interchanging words in the keywords for publishing on your blog. It is better advised to use LSI keyword strategy for ranking. LSI keywords are basically the same keywords that are semantically related to your primary keywords. You can try ranking your site for LSI because your doors are freely opened and you might have a big chance to rank well in the market. Let me explain you with the same example, Instead of creating a blog for “Make money blogging”, try targeting your keyword for a keyword phrase such as “How to make money by monetizing your blog?”, “How to make money from Google AdSense?”, Like that so and so. This way you can get more chances of being ranked well in search results. Choose a proper keyword rich domain name for your blog. Keep in mind your domain name should consist of your primary keyword which you are targeting for ranking your blog. If your keyword was “Make Money Blogging”, probably chances are less to get exact matching domain names because it is already overwhelmingly used. You can try instead of finding a domain name with those three words related to the above keyword. I mean you can apply LSI strategy to choose the right domain name for your blog. So you are almost traveling in a straight right path in your making money online career. Now, it’s the time to register your domain and get your dream blog live on the internet. You can go with a free domain from WordPress, Google blogger etc, but if you had a thought of having a long-term money-making plan from blogging, then it is must go with an own domain. I would admit you go with Godaddy or Reseller Club for your web hosting. There you can find cheap affordable prices for your WordPress hosting. Register your website at Rs.769 from Raj Softech Solutions. Once your blog was ready it’s time to submit your blog to Google. Add Google Analytics code to your website to track your visitors, to monitor their behaviors and many more factors that might relate to your blog so as you can optimize your blog for visitors. Also, submit your site to Google Search Console formerly known as Google Webmasters. This is a free tool that automatically audits your website and provides report telling you where to concentrate more on improvements in your blog. It helps webmasters to convert their blog or website to Google friendly in order to make Google rank their websites. If your website does not comply with Google webmasters guidelines, then you will be not able to rank your website at any stage. Without Google, your make money blogging career will be a daydream. 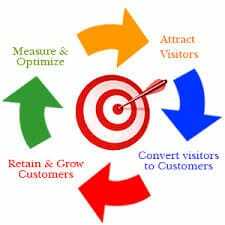 As I said above in this article, visitors will come to your site only if your site delivers some different information’s among another website in your niche. Once visitors start loving your content, probably Google will rank your website because Google is smart enough to evaluate your website. Create a blog for people and not for search engines, because search engines bots are clever enough to evaluate your website. At the beginning, you might have 5 – 10 articles that you have posted already, but your work does not stop here. You have to make continue researches about something new in your niche and start posting new articles with your primary keywords. My best suggestion would post a new keyword rich article every alternate day on your blog. Because people love reading what is New?. Search engines also love to see new contents on your blog every day which helps your chance of ranking high in their search results. Be descriptive about a particular topic with more than 1500 – 2000 words in an article. This indirectly tells Google and visitors that you are serious in researching about that topic and explaining to them which will give more authority to your blog. Add Social platforms such as Facebook, Twitter, Google plus, Linkedin etc in your blog which helps visitors to share your work among their networks if they found that it will be useful. 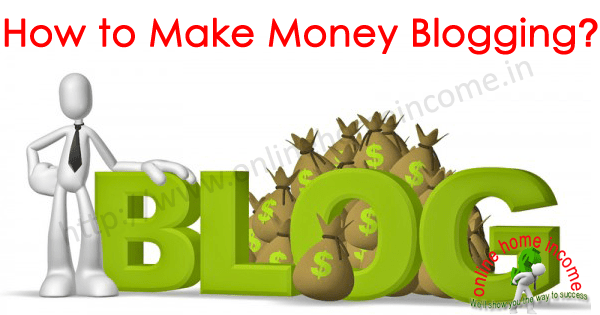 Make money blogging is a business and treat this like a real business and only by doing so you will achieve success. Create social profile pages with your blog name and add them to your website. Social linking is one of the important ranking factors which Google will consider in ranking your blog. Create a brand name by linking all social profiles with your blog. Do share each and every update of your blog on those social networks to get quality referral traffic. Whenever you publish a new article share them on Facebook, Twitter, and Google Plus. As I revealed there are so many masters, gurus, and other people who already been there to making money blogging field. In every business, one must need to establish a smooth relationship with other who was already in their field. Visit other bloggers blog and appreciate their work via their comment section which may lead to bringing a back link to your blog or even the website owner you commented might reply you directly. Do share quality articles with your keyword in other bloggers blog to get a quality backlink and targeted traffic. 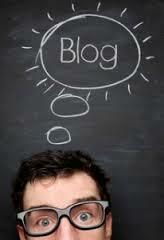 This process is called as Guest blogging, which is having the power of getting better ranking in search engines. Google calculates the quality of back links pointing to a website or blog for their ranking purposes.Guest blogging plays a vital role in ranking factors framed by Google. It is good for On-page SEO and also leads a way to get targeted traffic. Be conscious of guest writing and don’t scam or criticise any one because it will adversely affect your growth. Once you having decent visitors flowing in your website, you can now start to build an email list, which can be later used to send updates and information to your subscribers about new articles or any offers etc. Update your readers via email whenever you update your blog as this might help to bring visitors back to your blog where you can get a chance to convert them to your customers or buyers. Be loyal to your visitors, and gain authority where the secret stays behind a successful money making by blogging. With a list of decent email subscribers, you can create a passive income for a long time. With the use of proper email marketing campaign, it was proven that many blogs gained a quick much better ranking in search results. Here the actual part came, Make money blogging by monetizing your blog. With just your blog and have some articles in them and having some visitors to visit every day will not make your money. The only way to make money by blogging is through proper content monetization along with marketing strategy. These are the ways you can make money from your blog. I already have written an article about How to make money with Google AdSense? a top CPC, PPC marketing network. Even you can take part in affiliate programs by choosing the products related to your keywords and thus promoting them in your blog brings you decent income every month. I recommend going to Commission Junction where you will be offered almost 35% to 50% as an affiliate sales commission.